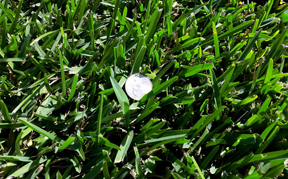 Saint Augustine (especially the Palmetto variety) is the most shade tolerant of warm-season grasses and is the most commonly used sod for residential yards in our area. The sod has an attractive green color and good color retention during our cooler months. It spreads by above ground stolons, commonly known as “runners,” and forms a dense layer to provide a durable lawn for your property that chokes out weeds. Centipede is one of the easiest and low-maintenance options for your lawn and is well adapted to the sandy, acidic soils of low fertility. It spreads by stolons and has a coarse texture with short upright stems. 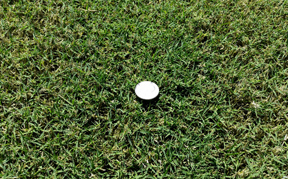 The shorter growth height of the sod allows for better conservation of water. It survives decently in mildly cool temperatures. However, with light freezes it will turn brown – but as soon as temperatures rise in the spring it will recover. Bermuda (Tifway419) combines toughness with beauty. Its dense, rapidly spreading growth habit means quick recovery from injury, making it one of the most durable hybrid Bermuda varieties. Tifway419 tolerates close mowing and is highly disease resistant and drought tolerant as well. For best results, install this type of sod only in an area that receives a lot of sunlight all day long and isn’t heavily shaded by trees or structures. Zoysia (pronounced Zoy-sha or Zoy-see-ah) is a dense, carpet-like lawn option. Once established and properly cared for, Zoysia is heat/drought resistant and can stand up well to heavy foot traffic. 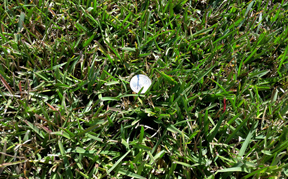 This grass is a darker green color and has a fine, soft texture. Its natural chemical resistance makes for easier weed control. 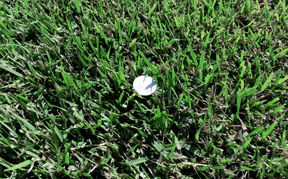 Zoysia requires less maintenance and mowing than other types of sod such as Bermuda and St. Augustine.